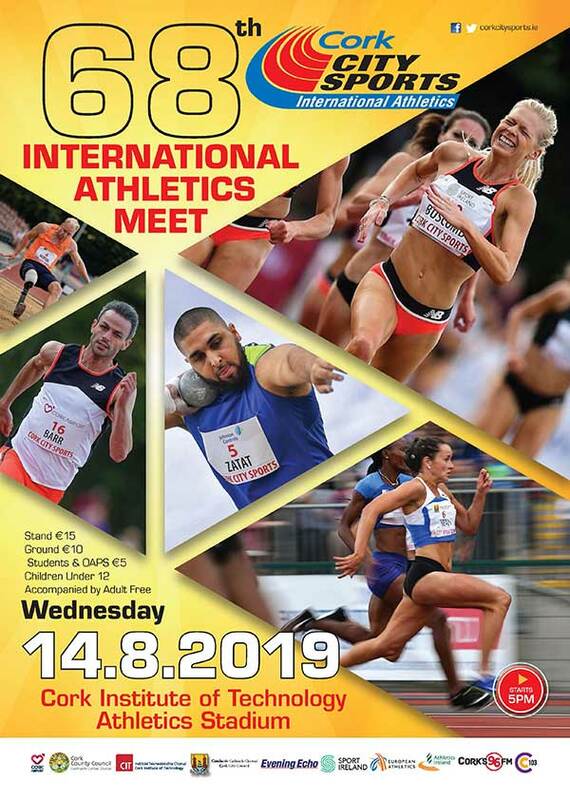 Organizers of the 63rd Cork City Sports to be held on Tuesday 8th July were delighted to hear the news of some really outstanding performances by Irish athletes on both sides of the Atlantic over the past week. Currently leading Irish miler, Paul Robinson showed he can mix it with the best of the Africans in setting a new personal best of 3mins 54.77sec for the Mile at the famed Bislett Games in Oslo. He followed up with a new best time over 1000m at the Golden Spike Meeting in Ostrava. Meanwhile in New York Mark English again got the qualifying time for the 800m at the European Championships by running the great David Rudisha to a few strides in finishing second to the Olympic Champion and World Record Holder at the Big Apples’ Diamond League showpiece. 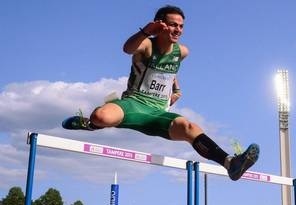 Twenty one year old Thomas Barr from Ferrybank set a new Irish record of 48.90 secs.for the 400m Hurdles in Geneva defeating European champion Rhys Williams from Wales in the process. Not to be outdone the world no 1. Javier Colson from Puerto Rico lowered his world leading time to a staggering 48.10 sec. So what a mouth watering race awaits the fans who will surely flock to the CIT Stadium In Bishopstown when all three face the starter. Waterford’s golden girl, Kelly Proper. set new seasonal bests for both her specialty the Long Jump and also the 200m while young Bandon sprinter Phil Healy achieved the European qualifying time for the 100m as did Sarah Lavin in the 100m Hurdles. Double European Cross Country champion, Fionnuala Britton showed a welcome return to her best form by running a fast 8mins 50.80 ses for 3000m in a solo run in Dublin.